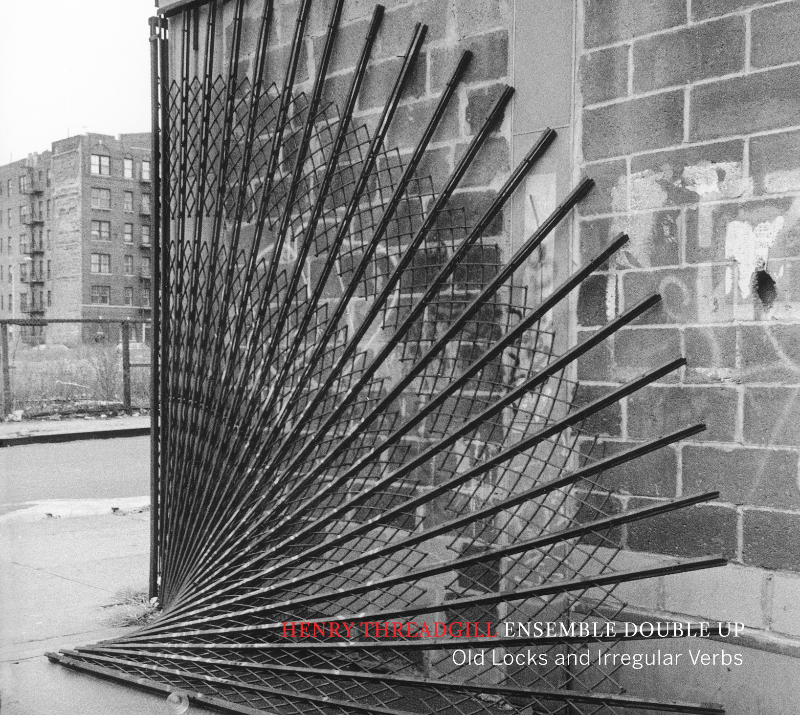 Henry Threadgill‘s important new release Old Locks and Irregular Verbs is his heartfelt tribute to an old friend, the composer-conductor Lawrence D. “Butch” Morris, who passed away in 2013. He describes the work as “An emotion, a thought, a feeling that I retained in my memory of Butch.” Threadgill first came to know Morris a significant figure in jazz who was responsible for creating a distinctive form of conductor-led collective improvisation for large-ensemble built on a technique he called “Conduction” when he moved to New York in the mid-1970s from Chicago. They were subsequently members of saxophonist David Murray’s Octet in the early 1980s when Morris was still best known as a cornetist. Close friends for almost four decades, they lived near each other in the East Village and were both Viet Nam War veterans, but mostly, they were fellow musical explorers who were each keen on developing his own individual creative voice. Old Locks was commissioned by and premiered at New York’s Winter Jazz Fest in January 2014, where it was performed twice in front of rapt, overflowing audiences at the historical Judson Memorial Church. It features Ensemble Double Up, Threadgill’s first new band to record in fifteen years, an unorthodox instrumental combination of Jason Moran and David Virelles on pianos, Curtis Macdonald and Roman Filiu on alto saxophones, Jose Davila on tuba, Christopher Hoffman on cello, and Craig Weinrib on drums. Threadgill, who is of course also well-known as a saxophonist and flutist, says that he has always wanted a group where he didn’t have to play so that he could focus on composing and sculpting the music. The work opens an exciting new chapter in the ever evolving artistry of one of the greatest composers in modern music. “Parts One” through “Three” of Old Locks (the entire composition is in a single movement and indexed for reference only) is a largely composed, meticulously arranged work that has all the hallmarks of Threadgill’s recent work: complex forms, multi-layered counterpoint, and rhythmic convolution. According to Virelles, “The ensemble parts are like a maze that need to be played very precisely, with interlocking phrases throughout, keeping a very specific rhythmic, harmonic and textural relationship between all the elements.” In the ensemble passages, Moran and Virelles play mostly single-note counterpoint, which Moran describes as “popcorn explosions” while still providing the music with its harmonic framework. Macdonald and Filiu invoke Threadgill’s logic on saxophones but bring their own sound; Hoffman and Davila both holdovers from Zooid provide the thrust that gives the music its most obvious connection to Threadgill’s recent music, while Craig Weinrib on drums drives the labyrinthine rhythms with poise. “Part Four” is altogether different. As Macdonald puts it, “Henry deviates from his usual compositional system and composed an epic, deeply personal and emotive chorale in homage to Butch. It’s hauntingly beautiful and mournful, and it left a profound effect on us from the very first time we heard it in rehearsal.” According to Moran, “Every time we reach the end of this piece, I’m always crying because it is an emotional moment. Threadgill has always had an affinity for funeral bands, and this becomes a powerful moment when Double Up becomes a funeral band.” The movement starts off a slow dirge before turning into an elegy and finally building to a crescendo and abrupt end, a moving and poignant final remembrance. David Virelles summarizes it best: “Henry is making some of the most advanced original music today. He’s at the peak of his craft, yet still very curious and completely open to all possibilities when combining sounds, and always looking to expand and learn. When listening to his music, one enters a very personal sonic world, with a very colorful, recognizable personality. I feel fortunate to be able to watch closely a consummate, original composer with a very personal language who keeps expanding and refining his craft.” True to form, Threadgill is already moving ahead, adding a third piano to the ensemble to perform his work “Double Up Plays Double Up Plus.” His personal quest continues, and we are all the more fortunate for it.